Scientists have found a catalyst that splits water into oxygen and hydrogen the same way plants do, with the help of photosynthesis. Russian scientists are working on a new and highly effective method of generating fuel with the help of photosynthesis, the process by which plants convert the sun's light into life-giving energy. They hope this new technology will revolutionize the energy sector and will end the world’s dependence on oil. Although the Russian state budget is highly dependent on revenues from oil and gas exports, scientists at a Moscow research institute are trying to create an alternative and renewable source of energy. Together with specialists from Germany, New Zealand, Canada and Iran, they are working on a new method that may help humanity end its dependence on fossil fuels. The scientists have already found a catalyst that splits water into oxygen and hydrogen the same way plants do, with the help of photosynthesis. The catalyst is a manganese compound, which is ideally suited for artificial photosynthesis because it occurs naturally. Thanks to this discovery, scientists believe that cars in the future will run not on gasoline but on liquid hydrogen, with a single filling lasting 2,000-3,000 kilometers. Indeed, photosynthesis converts light into energy with a conversion ratio of over 90 percent, while solar batteries have an average conversion ratio of 16 percent. The discovery was made by researchers at the Timiryazev Institute of Plant Physiology at the Russian Academy of Sciences together with their international colleagues. "Until now it has been impossible to create a water-splitting environment," said Pavel Voronin, the head of the laboratory of global photosynthesis ecology at the Institute of Plant Physiology. "The catalyst will break water down into oxygen and hydrogen and we shall start to make renewable energy. When it can be done on an industrial scale, it will revolutionize the Earth's energy sector because the Sun is a natural and inexhaustible source of energy." Scientists, however, warn that this breakthrough is still a long way away from practical implementation. 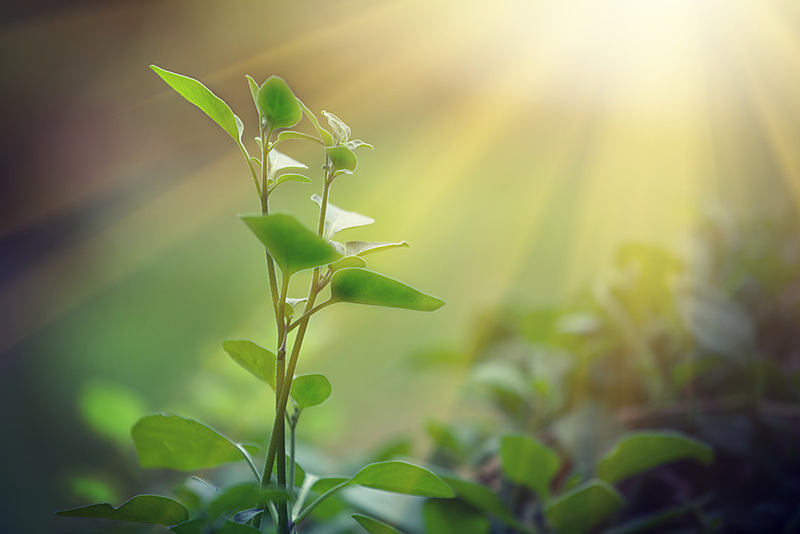 First, it is necessary to decode the process whereby oxygen is separated from molecules of water, and to understand the principle of water oxidation during photosynthesis. Russian scientists and their international colleagues will have to recreate the structure of a plant leaf and only then attempt to implement their model into production. "In the future, the amount of hydrogen produced by photosynthesis will be sufficient to liquefy it in huge quantities and to use it to fuel hydrogen engines," said Vladimir Tsydendambayev, deputy head of the Institute of Plant Physiology.